Thank you for making our 30th Anniversary party such a success! Our guests were amazed at the selection of pizzas and how there was always a fresh, hot slice available. The salad was the biggest hit of the evening....hey folks it's just salad! Your team added to excitement by interacting perfectly with folks! What a great team!! We are so glad we chose Bella Sorella Pizza for this celebration and the planning process was easy and flexible. We will be using you on our next party!!!! 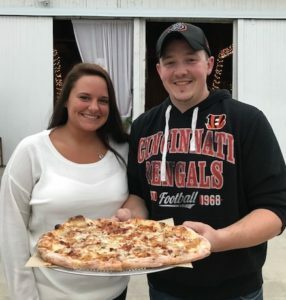 I will be happy to let everyone know in the greater Dayton/Cincinnati area that if they're looking for the best wood fire pizza I have ever had, contact Bella Sorella. They treated my guests like family and were very professional. Thanks for making a special night a great one! Thank you so much for your delicious pizza and excellent service. I couldn’t have been be more pleased hiring your company. You had won my heart before you even got to the event with your excellent communication and genuine care and concern for my needs as a customer. If any of my friends are ever in need of a pizza truck, I will recommend you without hesitation. Thank you both so much for making it so easy! It was a pleasure to work with you. Thank you for providing such a unique and delicious food truck experience for us at our business today. You made the booking process very easy for me. Your presentation, professionalism, & product are all outstanding. Today I heard many people raving about how great the pizza was and how much they truly enjoyed it. 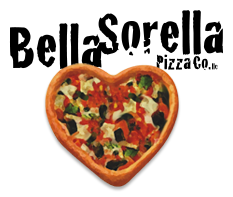 I personally loved your sauce and crust - wow! We were all impressed and definitely glad you came out. Thanks again! What an awesome rehearsal dinner you provided to our son and daughter-in-law! It was a perfect evening and couldn’t be happier! Bella Sorella Pizza is a must have for any event. Not only is the food is delicious and fun, but the staff are very friendly. They definitely left a lasting impression on me and my guests. The pizza was amazing. Service even better. It was like having supper with family! Thank you! 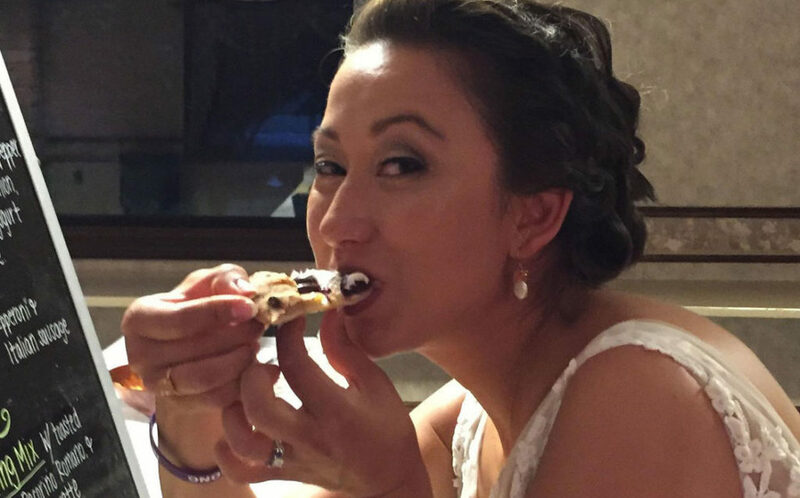 Bella Sorella did an amazing job catering our wedding, providing excellent service and food. They were a blast to work with and delivered above and beyond our expectations. Thank you so much and we highly recommend Bella Sorella to everyone looking for a professional vendor for their event. Wonderful pizza and wonderful staff. 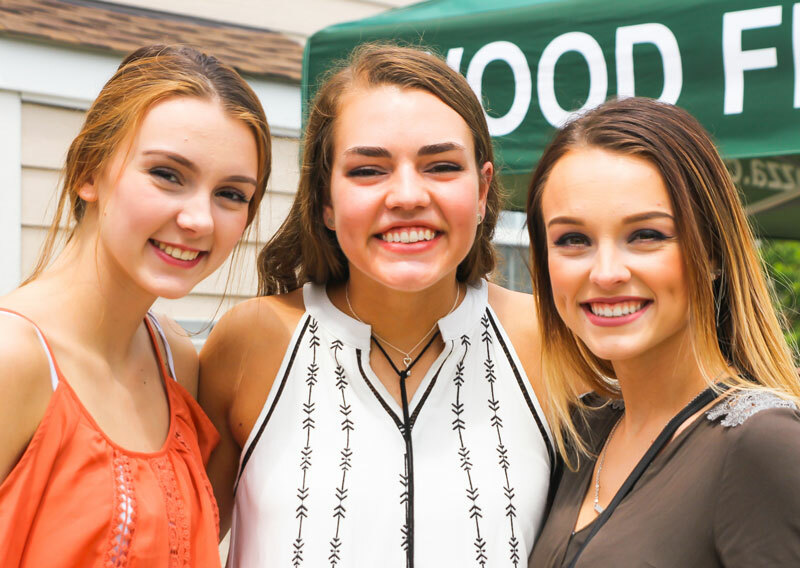 They helped make my son's grad party memorable. People are still talking about how awesome the pizza was days later. Seriously the best caterers ever. Fresh pizza. Fresh salad. Smiles...friendly...they blended right in! 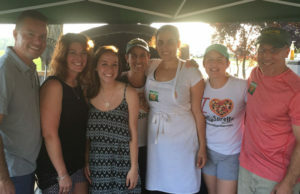 For the second year in a row BELLA SORELLA has catered our summer backyard Zumba party. Why? They bring the freshest garden grown ingredients any pizza lover could ask for. They deliver and serve with a personal touch. With that said, we will see you again next year BELLA SORELLA! My wife and I recently invited Bella Sorella to cater the wedding rehearsal dinner for our son and his bride-to-be. Gail, Elizabeth, and crew contributed to a magical evening. Their kitchen provided a wonderful ambience, the service was excellent and friendly, and the food (salads and pizza) were unforgettable. Many of our guests remarked on quality of the experience and several asked for business cards for their event needs. Thanks Bella Sorella !!! I wanted something different for my husband's birthday party! Bella Sorella was a huge hit! Friends and family are still talking about it!! Bella Sorella catered our rehearsal dinner last weekend and they were amazing! They were there right on time and had the oven going right away. Everyone was so impressed! The pizza was delicious; Elizabeth and Gail and the others working were so friendly, and they boxed up the leftovers we had for us to eat later. They were also so easy to work with to coordinate everything. We highly recommend them to cater any event! 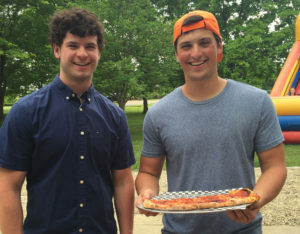 I had no idea that traveling, wood-fired pizza was even possible. Everyone at my party enjoyed the pizza and many commented that it was the best pizza they had ever had. I especially liked the cannoli. Thank you Bella Sorella. Weeks after the party people are still talking about how great the pizza was! My favorite part was how great the staff was to work with during the planning and the day of the party! Just a great business and people I highly recommend them! Absolutely the BEST wood-fired pizza. Thank you so much for everything! 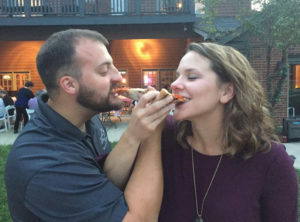 All of our guests LOVED your pizza! Bella Sorella catered our daughters’ graduation party. Every single detail, from the décor, to the amazing staff, to the most delicious pizza we’ve ever had, was absolutely perfect! People continue to compliment us on our beautiful party. Bella Sorella completely took the stress out of our day and allowed us to enjoy time with our daughters & guests. They went above & beyond to ensure our day was very special and we couldn’t have been any happier with the event. 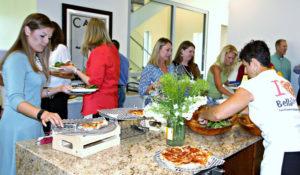 We hired Bella Sorella to cater a lunch for a fun day event for our employees at our company. Bella Sorella came through in a big way for us! The quality of the food was terrific, the service was excellent, and the staff take a lot of pride in what they do. They are wonderful to work with and make it so easy to set up your event . I would highly recommend them for your office party, graduation, retirement, etc. 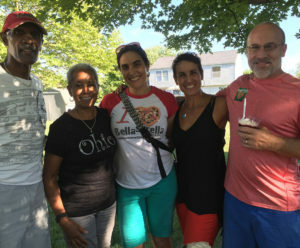 We invited Bella Sorella to our daughter Lindsay's Grad party as a different experience for our family and friends. 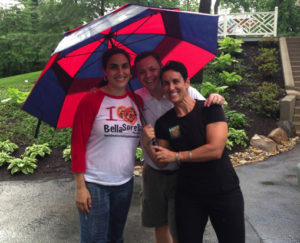 Hosting over 250 people, Bella Sorella hit it out of the park with their amazing personalities and customer service. 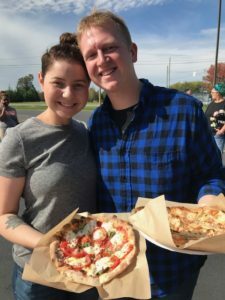 Of course Lindsay did not mind sharing the spotlight with the featured wood fired pizzas after seeing the satisfaction from all of her friends and family. 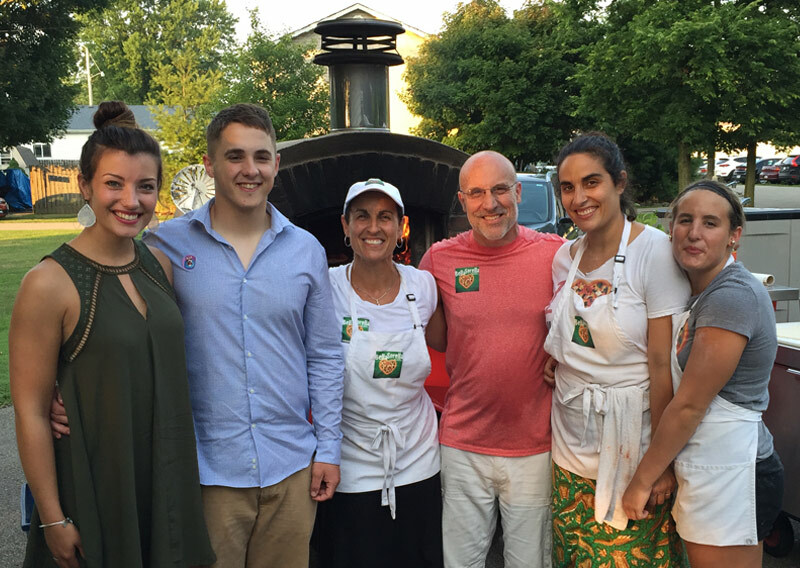 Our guest made comments like ``hands down the best pizza I have ever had!`` Bella Sorella felt like part of our family that night and we can't wait to invite them back to our home for another party in the future. We hired Bella Sorella for my son’s rehearsal dinner & it proved to be a big hit. The service was excellent & food was better. Best Pizza I have ever had in OHIO. The smartest decision I made was booking Bella for my sons’ graduation party. I was able to concentrate on all the small things I wanted to have done and never once had to worry about the main food and if there would be enough. 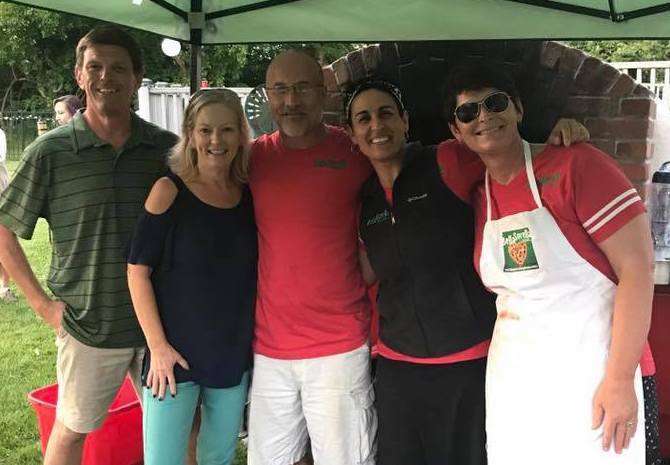 By using Elizabeth and her team I was able to enjoy my time at the party and speak to everyone and be engaged instead of constantly worrying about refilling crock pots or coolers. They spent time speaking to my guests while they were serving them and I had so many people comment how nice everyone was. The food was amazing and we had more than enough which made my day so much easier. I will definitely be using them in the future. Chaminade Julienne had Bella Sorella Pizza Co. host our Annual End of Year celebration for Faculty and Staff in our cafeteria following student exams. They did a fabulous job! 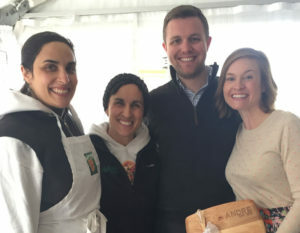 Our teachers and staff enjoyed the fresh ingredients and wood fire pizza and couldn't get enough! Thank you Bella Sorella for the wonderful atmosphere you created and your personal touch for our event! 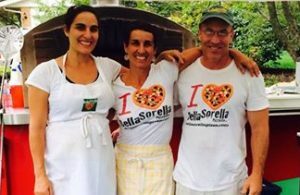 Bella Sorella catered our celebratory event and dazzled our 75 guests with their scrumptious pizzas and non-stop sense of fun! They were very organized in their set up, take down and impressed us with their efficiency. We unconditionally recommend Bella Sorella. Our guests are still talking about the pizza! Bella Sorella did an amazing job for my company at our corporate luncheon. The food was really tasty, the portions were generous, and everyone was really friendly and accommodating. Plus, they made planning easy by taking care of everything. We can’t wait to have them back! Is there not 10 stars!?! Your pizza is GREAT! Thanks for the great food and excellent service! I feel like I am back in Italy when I eat your pizza. We were so thrilled to have the beautiful Bella Sorella family help us celebrate our post-wedding party. They were a dream to work with while planning and were so reassuring in answering all our many questions. They didn't even panic when the forecast called for inclement weather! The team was friendly, professional and generous, and our guests couldn't stop raving about the mouthwatering food. It was exactly was we were looking for: delicious, memorable and just the right balance of gourmet and unpretentious. Our only disappointment is that we didn't have more leftovers to enjoy the next day, ha! We wouldn't hesitate to use Bella Sorella again for another event and are recommending our friends to the same. We want more pizza! Our event with Bella Sorella was a hit. The pizzas were amazing, the staff was fun and professional, and for our guests it was more of an experience than just a meal. I enjoyed not having to worry about the food and spending more time with our guests. I would have them cater a party again in a heartbeat! It was fantastic. Each pizza was better than the one before. Thank you so much for the great food and service on Saturday. Everyone had a great time, the weather cooperated, and the pizza was delicious. I've given your information to several co-workers and hopefully you may get some referral business. 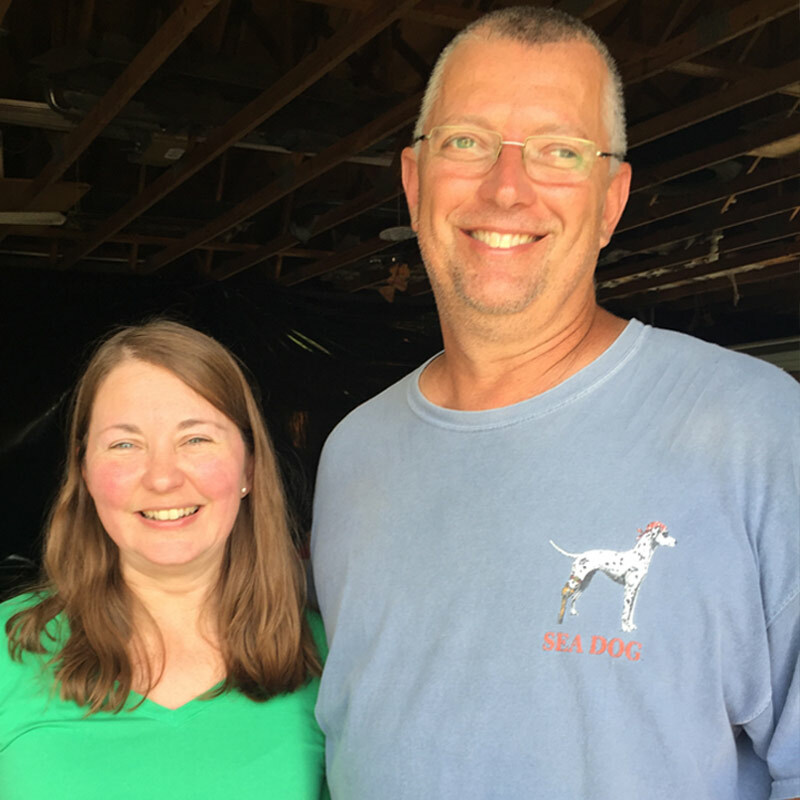 My husband and I ran a construction company for 35 years before he passed away so my family and I prefer to support independent businesses, knowing the difficulties involved in keeping momentum alive, building a reputation, and paying the bills. Bottom line-everything was terrific!!! Wonderful pizza and the most excellent service for our staff lunch and meeting.